While expanding into major markets around the nation and with lawyers practicing around the globe, Duane Morris continues to be an important part of the foundation of the Philadelphia legal community. The city of the firm's founders a century ago is now its present-day headquarters. 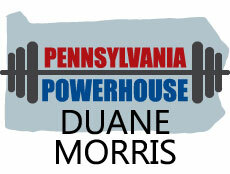 Hundreds of attorneys from Duane Morris' Philadelphia office work with each other, and with their partners in other cities, to provide a wide array of legal services to clients ranging from Fortune 500 companies to small entrepreneurial ventures, from public entities to individuals. Duane Morris corporate attorneys advise early-stage and mature companies on a wide variety of corporate and securities matters. The firm represents clients in all aspects of mergers and acquisitions, including negotiated acquisitions and divestitures. Our attorneys are experienced with venture capital and private equity transactions, and work with our entrepreneurial clients in developing and implementing creative strategies to accomplish their corporate finance and acquisition objectives. Our lawyers regularly assist closely held companies with strategic planning, equity incentives and succession planning. We represent listed and NASDAQ clients in securities offerings and advise public companies on securities law compliance, ongoing reporting obligations and corporate governance issues. Lawyers in Duane Morris' Trial Practice represent clients in all types of complex commercial and other litigation, from inception through trial and appeal. Our litigators are experienced in an array of areas, including securities, antitrust, intellectual property and real estate disputes. Members of our Trial Practice often represent insurance companies and work closely with the firm's corporate and bankruptcy lawyers representing financial institutions. Duane Morris attorneys have represented numerous international and national manufacturers in all forms of products liability and toxic tort litigation, including defense of product class actions, serving as national coordinating counsel, lead counsel, regional counsel or local counsel. Duane Morris also represents both individuals and corporations facing federal and state allegations of criminal conduct, including fraud, environmental crimes, securities violations, RICO violations, trade espionage and a variety of business-related offenses. In addition to representing clients in U.S. forums and before international tribunals, we also provide counsel on settling disputes without conventional litigation by using alternative dispute resolution options, as well as advise on methods to anticipate and avoid litigation. Duane Morris has extensive experience with the financing of complex private and public projects, often representing corporations and financial institutions on a regional, national and international level. Our attorneys counsel clients in numerous types of transactions covering nearly every aspect of municipal, project and structured finance transactions. Our public finance attorneys represent national and regional investment banking firms underwriting tax-exempt and taxable state and local government debt, act as bond counsel and special tax counsel for issuers and represent domestic and foreign institutions providing credit enhancement for tax-exempt financing. Our project and structured finance attorneys represent clients in acquisition financings, securitized and syndicated loans, and other complex financial transactions. Duane Morris' lawyers represent employers of all sizes in a broad spectrum of labor and employment matters, including equal employment opportunity compliance and litigation, statutory compliance and litigation defense and employment termination. We provide a full range of labor relations services, representing clients in union-organizing campaigns, proceedings before the National Labor Relations Board, negotiations of labor contracts and disputes over labor contract provisions. We assist employers in protecting their proprietary information and in enforcing noncompetition and nonsolicitation agreements. Our lawyers emphasize policies to prevent employment problems through our problem prevention programs and services, including seminars and workshops, customized training programs and employment practice audits. Duane Morris' real estate lawyers represent a broad range of high-profile institutional and individual clients in all aspects of real estate transactions and related matters. Our Real Estate Practice Group handles real estate acquisitions and dispositions, financings, workouts and restructurings, development and leasing, land use and zoning issues. Duane Morris' Construction Group has extensive experience in handling both transaction and litigation issues that arise in the design, development, financing, performance, management and close-out of major private, public and public-private partnership construction projects. The firm's representations include public and private owners and developers, construction managers, prime contractors, subcontractors, equipment suppliers, architects, engineers and other design professionals as well as sureties on a multitude of project segments (industrial, utility, energy, commercial and green building/sustainable projects) and a wide range of delivery systems (design-bid-build, design-build, CM and PPP) and on emerging technologies, such as BIM. Our International Practice Group integrates the services of attorneys from various disciplines who practice around the world, creating a global infrastructure of not only international experience, but also enhanced sensitivity to cultural differences. In the area of international trade regulation, we provide advice regarding domestic and international regulatory and commercial aspects of trade in goods and services, including product labeling and other domestic and foreign regulations that affect imports and exports. Duane Morris' intellectual property (IP) lawyers recognize the importance of our clients' intellectual capital to the success of their business and understand how to uphold IP rights to increase opportunities for our clients to enhance market share. Our experience includes trademarks and copyrights, patents and brand protection, domestic and international. Members of our IP practice group have played pivotal roles in the development of IP law, and their ranks include highly trained patent attorneys with backgrounds in biosciences, materials, chemicals, polymers, electronics and telecommunications. Duane Morris' IP litigators have substantial trial experience in disputes over patents, trademarks, copyrights, trade secrets and licenses involving such intangible property. Duane Morris' healthcare attorneys provide innovative solutions to assist healthcare providers in protecting their assets and increasing their overall profitability. Our healthcare clients benefit from one of the most experienced healthcare practice groups in the country. We provide a full range of regulatory and transactional services in every major sector of the healthcare industry. When the uncertainty that characterizes the healthcare system spills over into legal disputes, Duane Morris lawyers represent clients in courts, arbitration and mediation sessions, and administrative proceedings. Duane Morris' Private Client Services Practice Group represents a broad range of closely held business owners and other high net worth individuals with respect to their personal and professional planning. The firm provides estates, trusts, asset planning and related litigation services to individuals, business owners, charitable organizations and fiduciaries. The Private Client Services attorneys have significant experience in the settlement of decedents' estates, fiduciary income tax matters, administration of trusts and counseling on family matters. Throughout each relationship with clients, Duane Morris attorneys work to minimize tax exposure and implement creative strategies to preserve capital and transfer resources within the client's family and to next generations. The firm also provides all aspects of fiduciary litigation services related to probate, trust and guardianship administration. Our tax attorneys are an integral part of the firm's transactional practice. Members of the Tax Practice Group work closely with our corporate and finance lawyers to structure and effectuate complex transactions from a tax perspective. We represent business enterprises operating as corporations, partnerships or limited liability companies, advising both foreign-owned and U.S.-based multinationals on international and domestic acquisitions and reorganizations, as well as providing federal, state and local tax counsel. Many of our lawyers are frequently sought out to publish and speak to groups of professionals and laypersons alike, and serve as consultants in their fields to other professional advisors. Lawyers in our Business Reorganization and Financial Restructuring Practice Group work in tandem with each client, whether debtor, trustee, lender or other creditor, to determine appropriate strategies for deriving maximum value from a troubled entity, while simultaneously remaining mindful of each client's goals. Clients draw on the firm's extensive reorganization experience as one of the most active bankruptcy practices in the United States with a national team of dozens of bankruptcy lawyers in numerous jurisdictions. For more information, please contact Matthew A. Taylor or any of the lawyers referenced in the Attorney Listing.